Whenever anyone asks me where to get their hair done I'll always tell them Lulu's hair salon. Iv been to many salons but this one by far is the best salon. Iv been going to Christina for color and cut and she does an amazing job. I'll ask her for her opinion and she lets me know what will and wouldn't look good on me. It's nice to know when you get your hair done that the person knows what their doing. I always leave extremely happy! "I watched Marissa grow from a hairdresser, following her to 3 salons, to an accomplished business woman who has expanded her expertise that include all beauty services. I have watched Christina's successful career blossom as well. Aside from excellent color, style,cut, it's great to catch up with the girls that have become extended family. The entire staff at LuLu's is warm, friendly and very talented. I highly recommend this salon for all your beauty needs"
"I've been going to Marissa now for 5+ years, and out of all of those years, i've never lived in Long Island. This proves how great of a job she does! I live in Manhattan, and go out to Islip because nobody can do my highlights as well as she can! The most frustrating thing is when you ask to be blonder, and some people don't get it, Marissa, gets it! I can look at pictures of myself from back in the day and see the difference of pre and post Marissa. She does my hair brighter, shiner, and just the way I want it! On top of that, all of the girls in the salon are super friendly and very personable! Great place!" "I was referred to Lulu's from my one of my best friends Dawn Marie..;) I LOVE Marisa!! She is the BEST hairdresser I have ever been to!! Not only does she do Amazing work on my hair- perfect color/contrast/hair extensions....She truly cares- always takes her time with me!! Very professional & friendly!! Every single person there is friendly & nice!! They all make you feel very welcomed!! :)"
"Never a bad hair day if you are a client at LuLu's ~! I have been a dedicated client of Marissa's for over 10 years; but the best thing about LuLu's is that all the stylists are amazingly talented! I have had almost every imaginable service from color, cuts, updos, extensions and most recently a Keratin straightening and I can say in all honesty that I have never been disappointed and my hair looks FABULOUS ! xo"
Lulu's Hair gives a 5 star experience.The girls specifically catered to there clients needs and are always up to date on the current trends." "I have never meant more talented woman in this field. Everything they do is done with the customers want and needs in mind. I also love the fact if you ask their opinion, they are honest and definitely know what looks good on you. I've known most of these talented woman for about 4 yrs. Marissa...you are one amazing business woman." "Me and my sister have been going to Christina at Lulu's for about 5 years now and I absolutely LOVE the salon. Everyone is so nice. She now cuts my son's hair, very patient with a toddler and does an amazing job"
"I've been going to Marissa now for 5+ years, and out of all of those years, i've never lived in Long Island. This proves how great of a job she does! I live in Manhattan, and go out to Islip because nobody can do my highlights as well as she can! The most frustrating thing is when you ask to be blonder, and some people don't get it, Marissa, gets it! I can look at pictures of myself from back in the day and see the difference of pre and post Marissa. She does my hair brighter, shiner, and just the way I want it! 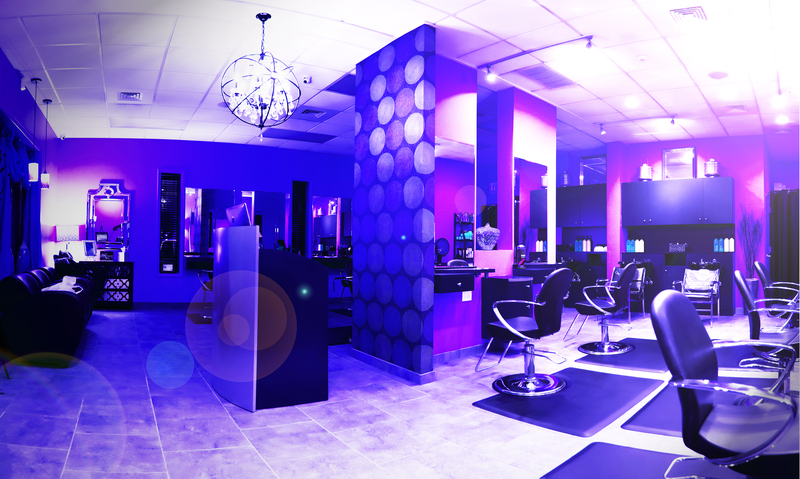 On top of that, all of the girls in the salon are super friendly and very personable! Great place! 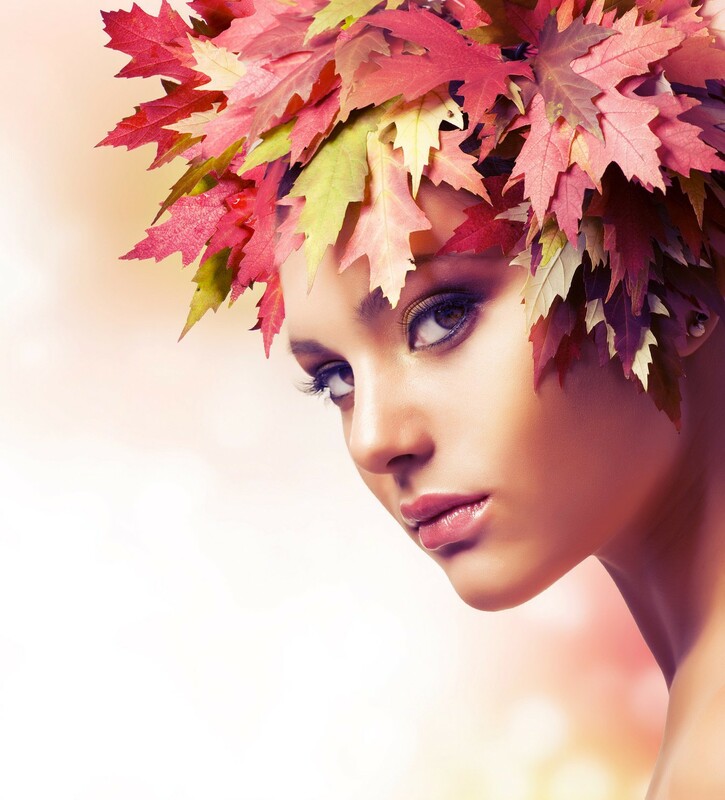 "LuLu's is the best salon around, I have been going there since it has been open. All the girls there are great and so friendly. Marisa does my hair and has been doing it for over 10 years. She is the absolute best I have loved everything she has done with my hair. Especially my ombre which I'm obsessed with!!! I can't say enough about this salon and the whole staff. 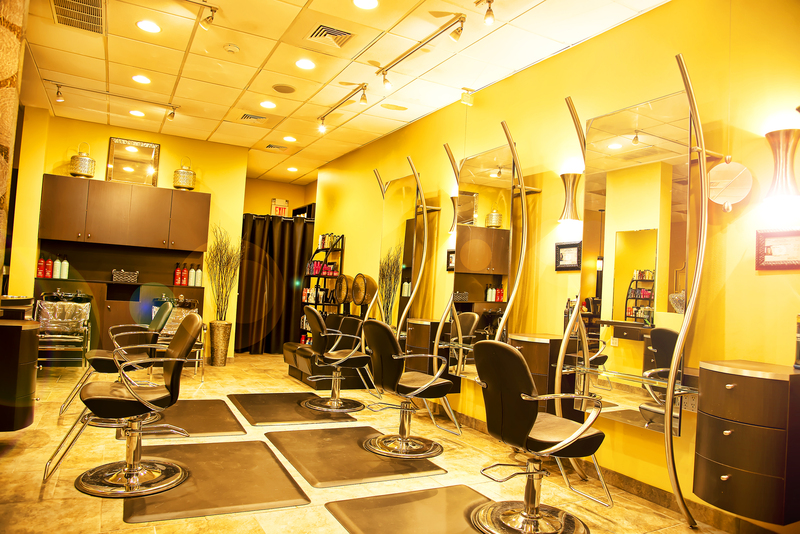 If any one is looking for a new salon they have to try LuLu's they won't be disappointed." "Lulu's is THE BEST hair salon! I have been going to Lulu's for over 5 years & I will continue until I'm 100! Marissa does my hair extensions & she is incredibly talented - she puts them in & cuts them in a way that blends perfectly with my own hair for a natural look. Danielle P. does my routine color & cuts & she always does an amazing job. Christina, Sara, Rachel, Danielle, Carissa have also done my touch ups & they are all amazing hair stylists. All of the girls stay up on the latest trends in hair color, cuts, extensions, styles & they always know what look is best for you! They make all of their customers feel loved & at home - always offering you a hot cup of coffee or tea & remembering everyone's names & events in their life. I highly recommend Lulu's to everyone! They are THE BEST!" " Lulus is the best hair studio ever best hair stylists it feels like home and they honer your every request"
All of Lulus Stylists are NYS Licensed but the Education does not stop there. Along with Experience in the field, we believe that education is a never ending process for us all. All stylists continue their education at the NYC Redken Exchange, and at our in salon classes. We keep on top of the proper way to achieve trends, while never compromising the integrity of your hair. 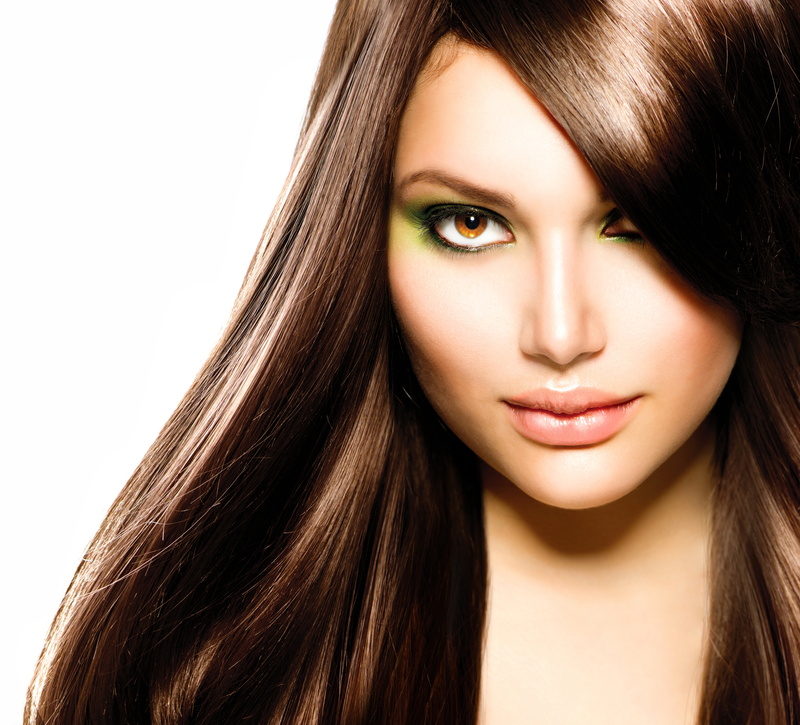 You can be assured of top quality work regardless of whom you see – work that we stand behind as a salon. 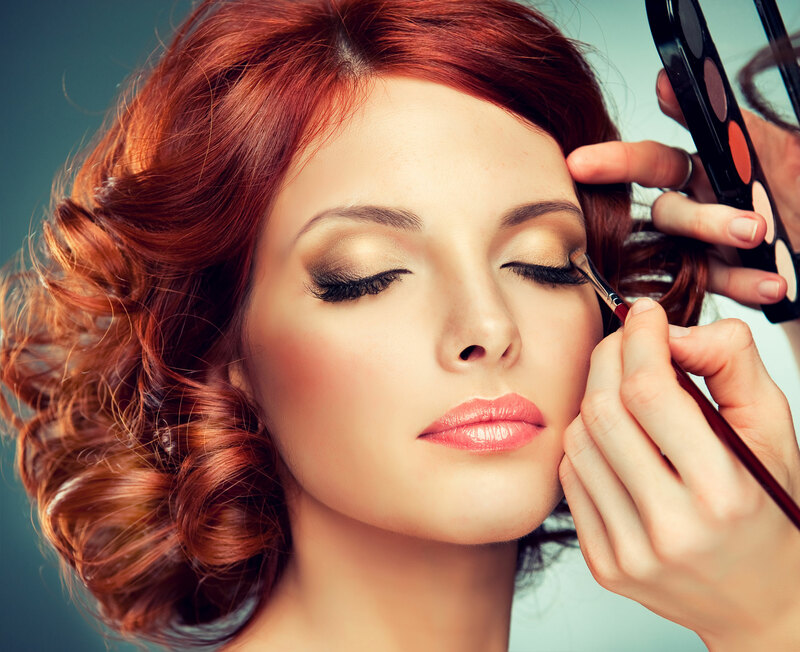 In addition, if at any time the stylist you regularly see is not available, you should feel confident in scheduling your appointment with one of her/his peers. All client color formulas are stored in our database. Check out Our Team for a more detailed look of what Training and Certifications our Stylists have acquired. The cost of extensions varies depending on the amount and type of extensions (Socap, Great Lengths, Vision, ect). Call us to schedule a free consultation appointment where you’ll come in, talk to a stylist about what you want done, and figure out how much it’ll cost. Can I have a consultation? We are proud to offer free consultations, by appointment or walk in if time allows. Of course you can! We just ask that for your sake, the sake of other clients, and for your childs safety, that they be able to sit quietly. All services are reserved for you. Please Cancel with at least 24hrs notice to avoid a fee. If you know you will be running late please give the salon a call. Depending on how late you are we may need to shorten or reschedule your appointment. We will however do our best to accommodate you and your service needs. Appointments made ahead of time are always your best bet, but walk-ins are usually available depending on the day and time. Feel free to give us a call on your way and we’ll let you know if we can fit you in. I live in Islip, but I have never seen the shop before, where are you located? 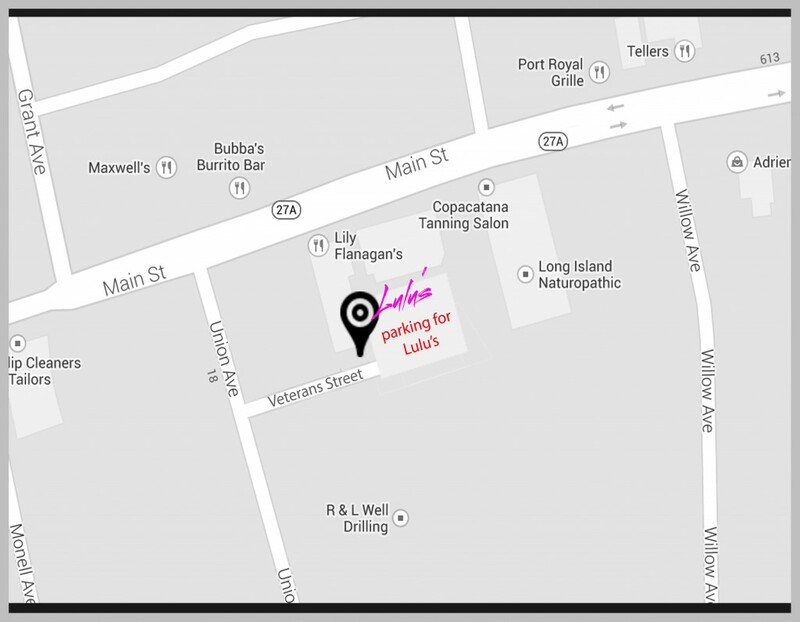 We get this a lot, Our address is 528-3 Main Street in Islip, but we are located in the back parking lot of the Chase Bank, and Lily Flanagans. Coming from the East on Main Street you can make a left on union avenue (French Cleaners on the corner) and then your first left on Veterans Ave, and that will guide you into the Chase Bank Parking lot. The Salon will be on your left. Coming from the West on Main Street you can make a right onto union ave, (French Cleaners in on the corner) and then your first left on Veterans Aven, and that will guide you into the Chase Bank Parking Lot. Can I put the Tip on my credit card? Are Tips included in the price? We apologize for any inconvenience but no tips are accepted on credit card. There is a Chase Bank ATM to use right next door if needed. Tips are not included in our price. Coming from the East on Main Street you can make a left on union avenue (French Cleaners on the corner) and then your first left on Veterans Ave, and that will guide you into the Chase Bank. Lulu’s is located in the parking lot behind Chase Bank. For Pricing, Bridal Party Pricing or General Inquiries; Please feel to use the contact form below, email or call us at your own leisure, someone will respond to you asap. Interested In becoming a Lulu’s Stylist or MUA? We would love to see what you got!